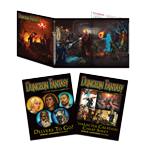 The Dungeon Fantasy Roleplaying Game is designed to run quickly, but why not step up your game? The Dungeon Fantasy GM Screen pulls together key information for the GM who likes to keep the action moving. Say goodbye to page-flipping for important tables and modifiers! 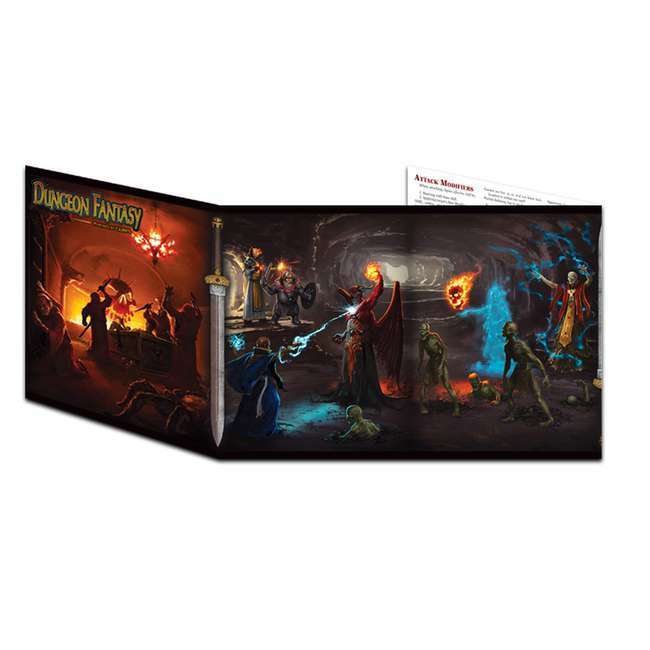 This handy screen will also foil the classic hack 'n' slash tradition of "accidentally" glimpsing the GM's notes, so the players will have to satisfy themselves with the beautiful full-color art on their side. 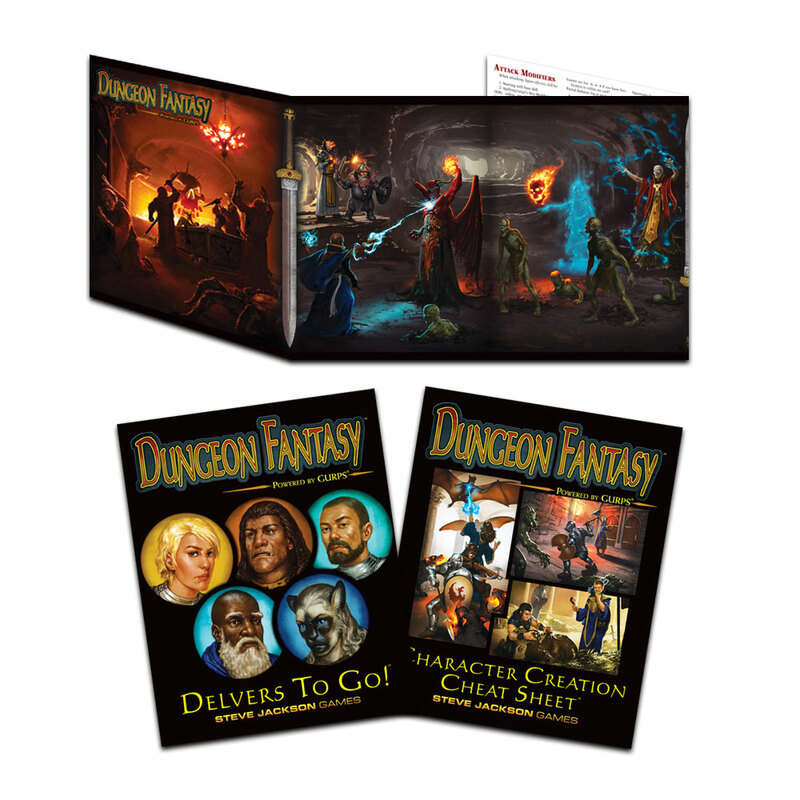 But they're welcome to exploit the included 16-page booklet, which speeds up character creation and advancement by summarizing all the abilities in one place . . . or the second booklet of 13 ready-to-use heroes. Old-school hacking and slashing calls for the right accessories –– and this one is perfect for the GM who wants to set a swift pace and keep a few surprises hidden away!